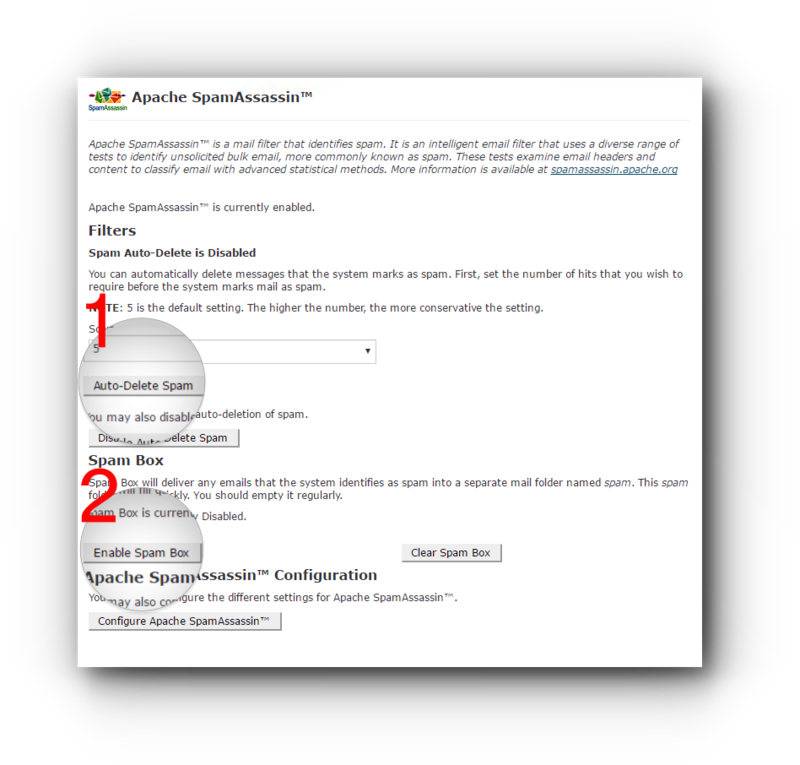 SpamAssassin is an email utility that attempts to filter spam by examining incoming email and testing for spam characteristics. 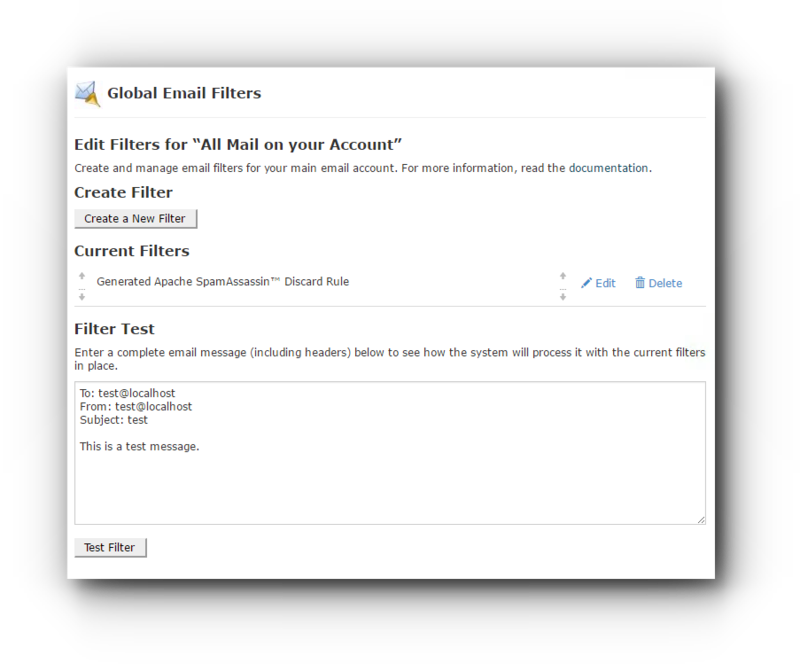 It uses Bayesian spam filtering and network testing to screen incoming email. This results in an overall score. If an incoming message reaches a predefined score, the message is discarded. Step 2. 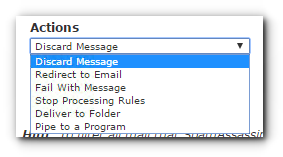 Under Mail panel, click on Apache Spam Asassin™. Step 5. 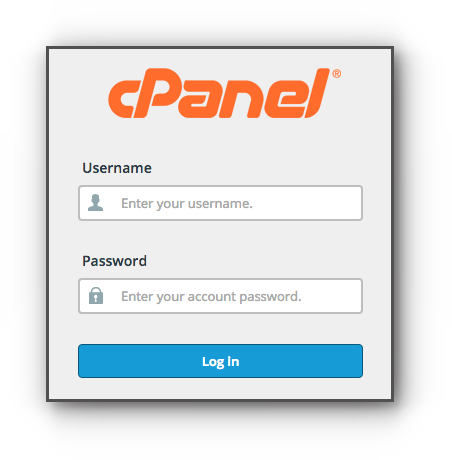 You may create filter rules through the cPanel. 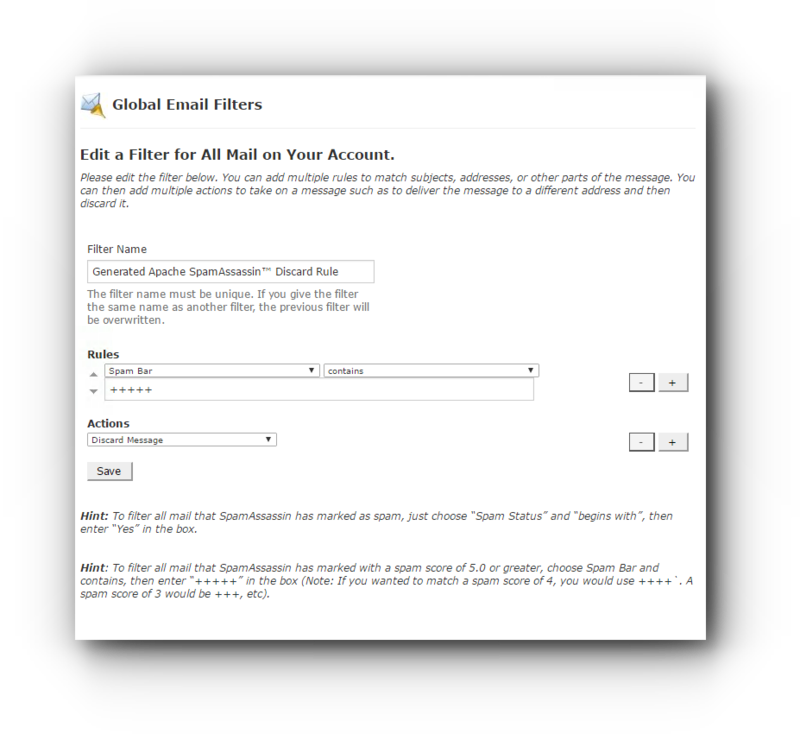 Go back to the Home page and click on Global Email Filters under Email panel. By default, under Current Filters, it is set to “Discard Rule”, if you wish to change it, click on Edit. Step 6. 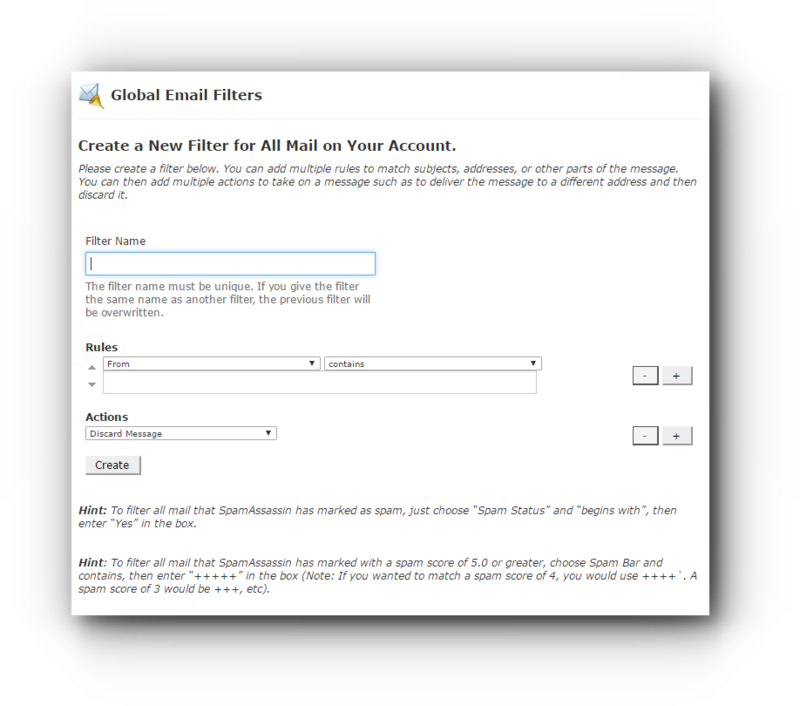 Create a new filter by clicking on Create New Filter button. Enter all the necessary information. Choose the Rules and what it contains. Select what kind of Actions you want to use.